Shoes in the evening, shoes in the morning, shoes at supper time! 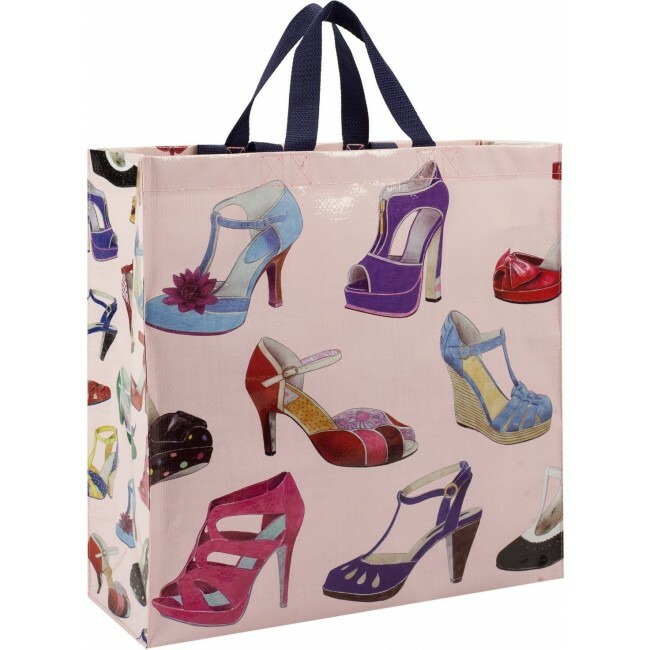 When shoes are on a shopper you can have shoes anytime! It's amazing how versitile that jingle is, isn't it? Art by Christine Berrie. Double Duty Handles, this style also has a convenient shoulder length strap. Made with 95% post consumer recycled material. 15" x 16".